Yes, I love Bill Moyers, too, but felt it was important to share this article to show how far the cover-up will go to mislead the public. Thankfully an organization of architects and engineers can defend the truth that is so much more profound than the liberal media spin. DUBAI (Reuters) - Al Qaeda leader Osama bin Laden warned the American people over their government's close ties with Israel in an apparently new audio tape posted on an Islamist website Monday. "The time has come for you to liberate yourselves from fear and the ideological terrorism of neo-conservatives and the Israeli lobby," Bin Laden's latest tape said. "The reason for our dispute with you is your support for your ally Israel, occupying our land in Palestine." The message, entitled "A statement to the American people," was around 11 minutes long and was posted a few days after the eighth anniversary of the Sept 11, 2001 attacks. Reuters was not immediately able to verify its authenticity but the website often is used by supporters of al Qaeda. In the tape, the al Qaeda leader said there had been no real change in American policy because U.S. President Barack Obama had retained people like U.S. Defense Secretary Robert Gates from the administration of former President George W. Bush. Another group of scientists has found evidence of explosives in the dust at ground zero, 9/11. Actually it isn’t news at all. Hasn’t been covered. One might expect calls far and wide for a public investigation by qualified scientists to examine whether the findings are accurate. Yawn. There is a lot of interest on the Internet, among people who don’t take a paycheck from corporate media. There is interest among ex-CIA, military, pilots, architects, engineers, physicists, demolition experts, metallurgists, academics and so on. But not a peep from corporate media. We know corporate media are obtuse propagandists for corporate interests like the treasonous illegal invasion and occupation of Iraq. They love that shock and awe. It’s good TV. 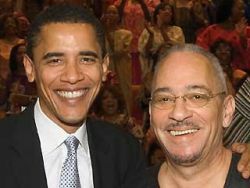 They are enemies of democracy and friends of wealth. Does The Sentinel know that the work of these scientists is “cartoonish”? How do you know? Prove the scientists are wrong, or that there is ambiguity. Manhattan Neighborhood Network : Truth for a Change. I will be doing it again this Friday. July 7th London, was an inside job too. Please watch the videos and consider signing the petition! For those of you who have not as yet realised that July 7th 2005, 7/7 was also an inside job and I encourage all truth seekers to watch the following two very good videos! Also please consider signing the petition to "release the evidence" (http://www.petitiononline.com/j7truth/petition.html) concerning the events on that day, which to this day the police and intelligence services have denied under 'national security reasons', the petition is hosted on the following website in the UK which contains pertinent information and news relating to 7-7. This first video is by David Shayler (FORMER MI5 SPY AND WHISTLE BLOWER), and includes issues concerning 9/11 too. Just who is the turbaned terrorist Al-Zawahiri? 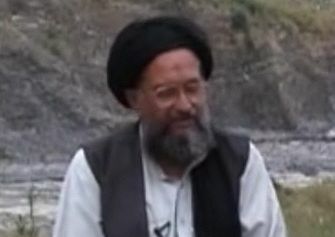 Who & what is really behind the bogey man Ayman Al-Zawahiri and his spate Video Nasty releases? Ayman Al-Zawahiri is the Egyptian who broadcasts his contempt of the west increasingly regularly, and conveniently it would appear, on the "JBN" (Jihad Broadcasting Network). 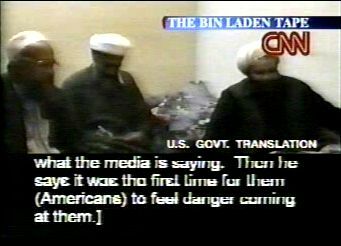 It should be noted he also appeared in the 'fake bin-Laden' video.